It has been quite awhile since I said goodbye that day. I have been busy with family and traveling. Coming to America disrupted my regular habit of checking your blog atleast once every week. Last night as I was having a lovely chat with my grandpa over an even more lovely supper (his famous chili and beans) somehow you came up in our conversation. First thing I did when I got back home was checked your blog, and behold, there I was standing beside you on our last day of class. I have to admit I kind of glowed to see my picture, which I understand could have been a matter of mere coincidence or convenience, but still, it made me happy. Thank you for this wonderful entry, for your prayers, for being a wonderful and lively teacher, and most of all for being such a wonderful human being. 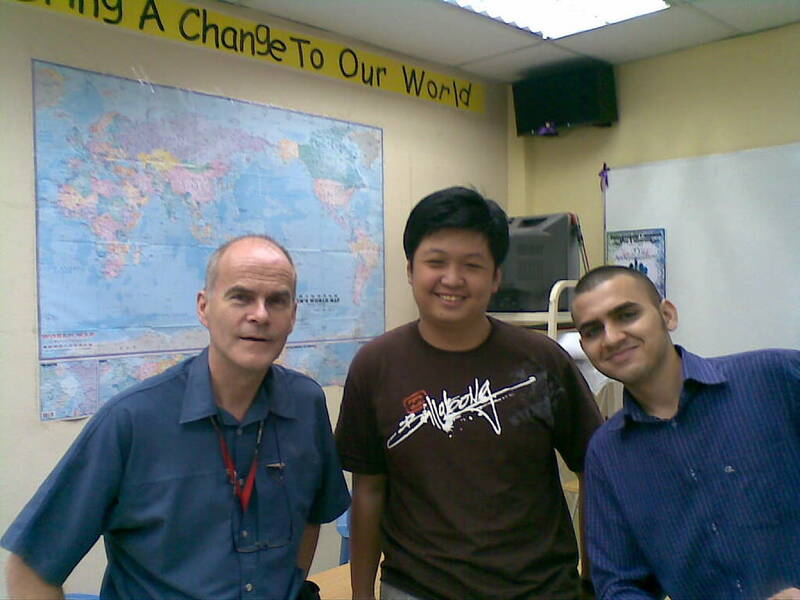 It was truly a pleasure to have you as a teacher and a friend. I would miss you this semester, however I know you will be there for me as a friend if not as teacher per say. I will be leaving the states on the 10th. Looking forward to having a hearty chat with you when I get back. Hope you had a wonderful vacation. My prayers and my respect.